This premium lawyer WordPress theme is powerful, robust and versatile with modern and stylish look that will make visitors pay heed to your website at least once. It can be used by a number of professionals and businesses concerned with law like lawyers, attorneys, law firms, legal advisors, law practitioners, law enforcing authority, legal service providers and so on. Its layout can be changed from boxed to full-width and full screen to suit your requirements. It loads with an awesome speed. This premium lawyer WordPress theme comes with various header and footer styles so you can place the menu and other widgets anywhere. 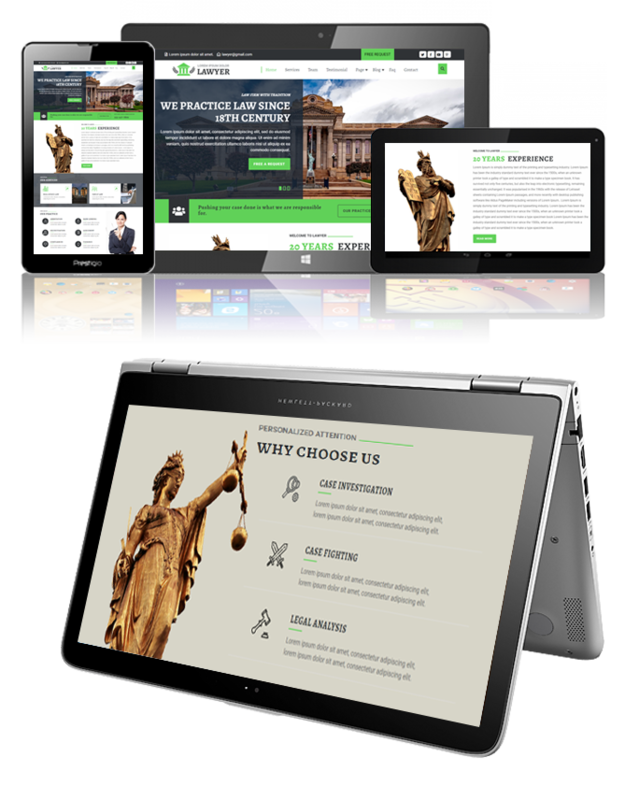 This premium lawyer WP theme loads on all the leading browsers and scales the screens of different devices. It is multilingual with support for RTL writing; solves all the search engine matters with its SEO. You can use social media to market your name; it is integrated with WooCommerce and Contact Form 7 plugin. This premium lawyer theme provides all the ways to customize itself in the easiest manner without having to deal with the dreary code. It offers many Font Awesome icons and implements shortcodes for advanced features. You get dedicated support and regular theme updates with this clean lawyer theme.